On September 21, 2015 I accidentally hit publish on my first blog post. I had purchased a year’s package with SBI and had spent the past few weeks fooling around. The truth is I had been toying with the idea of blogging for more than a year but… being fearful of jumping into this new world I hesitated and researched … and hesitated and researched some more. Then I researched and hesitated. I was stuck in a horrible cycle. Though I had dreamed of being a writer since I was about 12 years old, I allowed fear to stop me from writing. I made excuse after excuse as to why I could not write until alas! That fateful day when I published the webpage that began a great journey as I scrambled to learn enough to stay ahead of myself. Long hours and late nights became a part of my life especially in October because I was a part of the Write 31 Days challenge that saw me – a non-writer struggling to prepare enough readable material to be published each day. 1. Everything has to first be filtered through my identity in Christ. My husband and I recently had a lengthy conversation about an investment that we made had made about a month ago. Initially it started with my husband wanting to support a former student of his but now it has gotten to a place where we feel like we have been drawn into a spider’s web from which there is no escape. We are left wondering, “Did we make the wrong decision? How does this choice reflect who we are in Christ?” The thing is that it doesn’t and while we may have had good reasons for making the decision, now we are left with the slightly metallic taste of regret. I have created this handy-dandy checklist for us to remember who we are in Christ. I’m hoping we remember to check it before we make any decision. 2. It’s hard to blog about Jesus when you aren’t spending enough time with him. Towards the end of last October, I felt myself getting really depleted. I would put in a full day at the office, then go home do dinner, homework and honey time and then still find time to write and publish my post for the day. Many times I would be up in the night long after my family was asleep getting my words out. I would be up early the next morning to get to work in time for my 8:00 a.m. EST shift. What that meant was that sometimes I was not able to do my quiet time with God. Oh, I still read my Bible and prayed … but I like to stretch out on the couch and dig into a passage. When I’m doing that I feel like God is my bestie … when I can’t do that, it takes a toll on the soul (yes that rhymed, totally unintentional, smile). The good thing about that experience is that I’m now able to recognize when my to-do list is blocking me off from God so I can take a step back from everything and focus on him. 3. There are a whole lot of persons out there who want to help. Imagine my surprise when I found myself making connections on Facebook to people I’ve never met … I have found that there are some wonderful bloggers out there who are willing (even eager to offer support). And not just with blogging either. In a fit of desperation one night I sent a bunch of invites out to Facebook blogging communities – those invitations have introduced me to some truly incredible individuals who have greatly helped me along my blogging path. If you are a fellow blogger I would strongly recommend that you reach out to some Facebook groups and become a part of the community (that means actively participating and not just adding them to your list of groups). 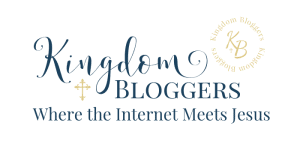 If you don’t blog, I would suggest that you find a community of like-minded individuals to be a part of. Iron sharpens iron and we are stronger when we support each other. 4. Don’t take myself too seriously. It’s not about me. It’s about God. Everything should be filtered through that simple truth. Otherwise I will get filled with pride and God won’t be able to use me anymore and that would be a shame. 5. Find time to read and explore. Check out the work of your favorite writers. Explore some new ones – God is still speaking to his people and he has a lot to say. Learn how to draw or play an instrument. Sometimes I get a little caught up in “being responsible” but God wants me to be happy and sometimes that means blowing off the time set aside to write and spending it watching silly cartoons with my family. 1. Work out the colors and branding for your blog in the early stages – It only gets more complicated and cumbersome the longer you wait. Take some time to picture your ideal reader and figure out what colors work best for your audience. This is a great article from SITS Girls on branding. 2. Have an editorial calendar – This will help you to have an idea of what to write and when. Flying by the seat of your pants is nice but having a plan is better and there will still be opportunities for spontaneity. Check out this EConsultancy article here. 3. Establish a routine – Choose a day to post, determine when you would post to social media, this is especially important if you are still working full time or have a hundred irons in the fire. 4. Automate! Use the likes of Hootsuite, Buffer, Board Booster, Tailwind etc. There’s no need to spend hours on social media to boost your post (most of the bloggers who are posting multiple times per day are actually using an automated service). Don’t allow yourself to be intimidated. 5. Schedule and limit your time on social media – It’s addictive. If you’re not careful hours dwindle away before you realize it. 6. Socialize with other bloggers – Read good blogs, comment on their posts, join Facebook groups. Engage with your community. There’s a lot of experience that you have access to if you build the right relationships. What are some of the lessons that you learnt this past year? What are some of the things you wish you had known? Join the link up party and share your stories below.